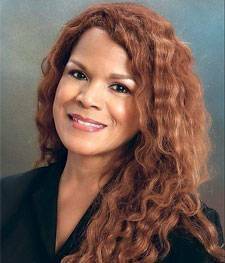 Dr. Day Gardner, a member of the Project 21 national advisory council, is the president of the National Black Pro-Life Union and an executive member of the Washington, D.C.-based National Clergy Council. Dr. Gardner has a diverse personal history and a dramatic range of experiences. In 1976, she made history by becoming the first black woman to be named a semi-finalist in the Miss America Pageant — breaking through numerous racial and other stereotypical roadblocks, blazing a trail for others to follow. She has also been a successful businesswoman, particularly as the thematic and interior designer of a $36 million dinner theater and nightclub facility located in the center of Guam’s tourist district. While in Guam, Dr. Gardner also served as a media consultant for KUAM Broadcasting. She was later an on-air personality and executive producer with African Broadcasting in New York City. More recently, she has been a guest on the Fox News Channel, EWTN Global Catholic Network, Glenn Beck, the Christian Broadcasting Network and other national television networks as well as local programs. Presently, she is the host of “The Day Report” on Urban Family Talk radio. As an activist, Gardner travels throughout the United States as a sought-after speaker for political rallies and events as well as at colleges and universities. She is the author of the novel If Not for Grace and a contributor to the anthology Life at All Costs that was edited by Dr. Alveda King and Dr. La Verne Tolbert.